« What does a Neve 1073 and a Behringer ADA-8000 Have in common? 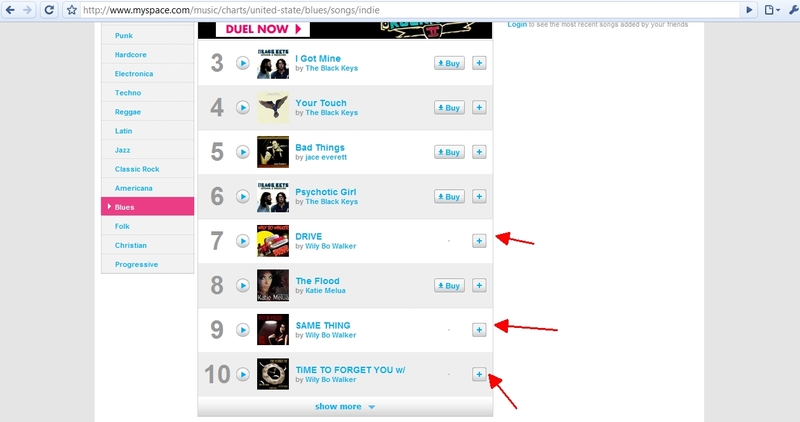 Blues Master Wily Bo Walker & New York’s Danny Flam top the download charts?!! In a wealth of caution, I’ve held off on the following announcement but – Wily Bo Walker remains the #1 UK Indie Blues Artist in the Myspace charts and ‘Same Thing’ is No 3 In UK Blues and No 9 in the US! Count 'em! Three in the top ten! Check it out: http://mysp.ac/dsBdLD It’s available for download on iTunes. Is this a great start to the week or what? I am so fortunate to be making music with this stellar artist. This entry was posted on Thursday, August 12th, 2010 at 3:45 pm	and is filed under Brass, Music, Strings. You can follow any responses to this entry through the RSS 2.0 feed. You can leave a response, or trackback from your own site. Hey I like I like!